View bank account statements and financial notices online for all checking, savings, and loan accounts. Sign up to receive free email alerts for all your accounts. Transfer funds easily from one L&N account to another. Pay anyone, anytime for FREE. Enjoy the convenience of paying bills online whenever and from wherever you want. Schedule recurring payments so your regular bills are automatically paid each month. Export your bank account information directly into Quicken®, QuickBooks® or Microsoft® Money. View spending habits and create budget goals using our FREE Money Management feature. Earn rewards with our easy-to-use Purchase Rewards program. No coupons necessary! You are presented with offers based on where you shop. Simply activate the offers to your L&N Debit Card, and go shopping! Get more back during tax season using TurboTax! 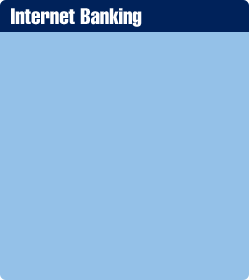 Save 15% on TurboTax products through L&N’s Internet Banking site.